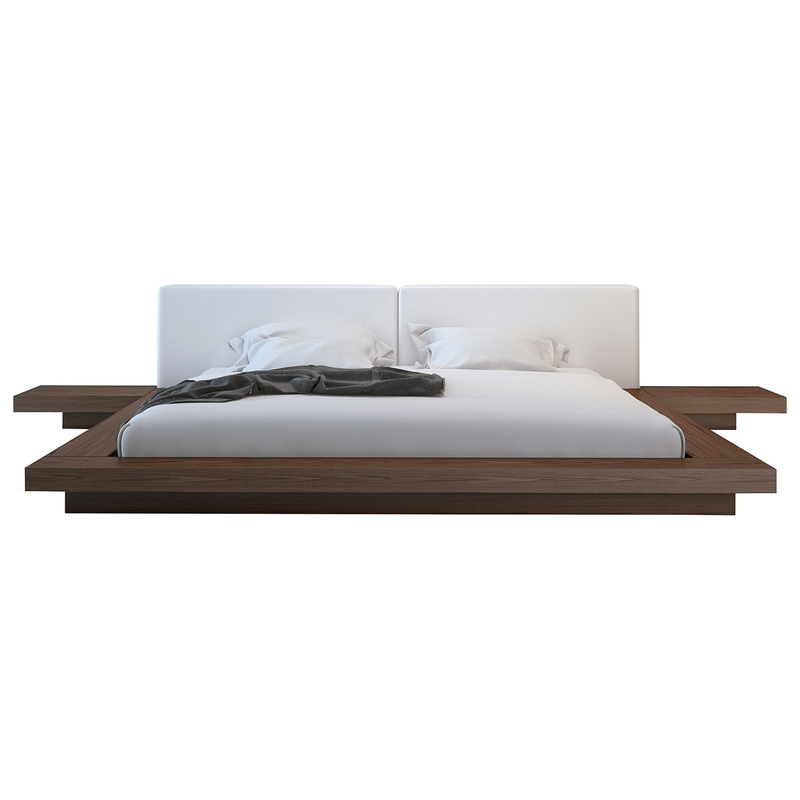 Create harmony between you and your surroundings with the Japanese-inspired Worth Bed from Modloft. A low profile, Eco-friendly hardwood frame accentuated by crisp clean lines and sharp angles brings the art and science of feng shui into your home. A pine-slate support system further promotes positive energy and good fortune by keeping well supported and allowing air to circulate beneath your mattress for added comfort. 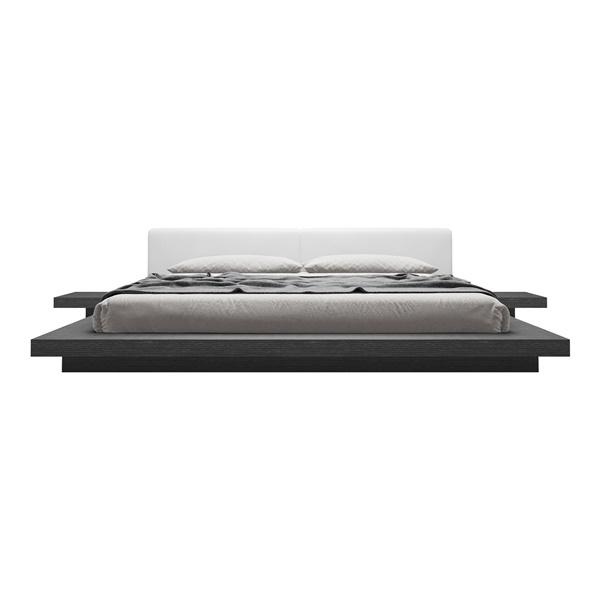 A leather-clad headboard and two matching nightstands make elegant yet practical accessories to the Worth Bed while your choice of finish and leather color combination ensures a perfect match to your existing d�cor. What is the headboard width without nightstands (king)? The width of the King size headboard without nightstands is 93". is the wenge colour black? Wenge is not black. It is very dark brown in color. If necessary, we can send you a swatch which will show the color. What is the name of the shelving unit displayed in the picture with this bed? Do you sell it?? Do you sell a kit to raise the Worth Bed higher off the floor? Unfortunately we do not offer a kit to raise the height of the bed. If you wanted the mattress higher, you could use a boxspring. How deep is the inset for the mattress? If I have a 9 inch thick mattress how much will be visible above the bed frame? The Worth Bed has a 2" inset. For a 9" thick mattress, 7" will be visible from the platform. Can you put a box spring with this bed? Thanks. 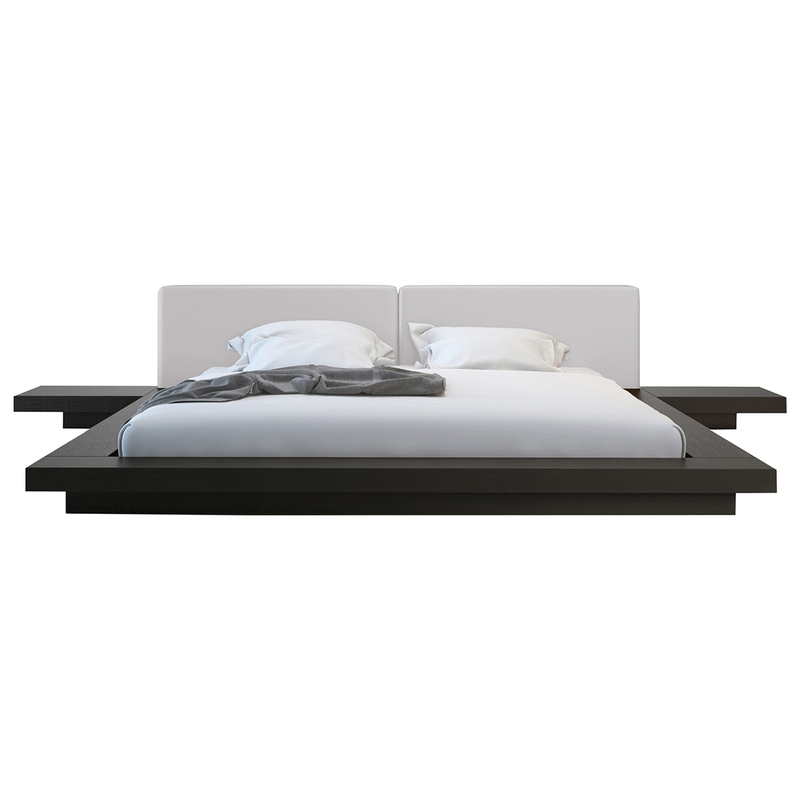 The Worth Bed is a platform bed and is intended for use with only a mattress. The mattress will sit snuggly on the pine slat system to provide excellent support.